Why are handmade treasures better than store bought items? Well there are many reasons, but I am just going to name a few. 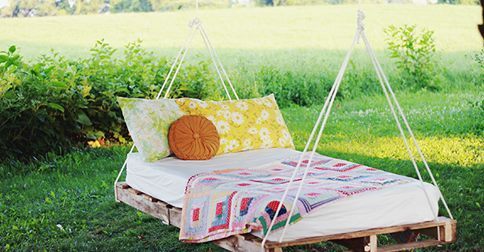 Upcycling is great for the environment. Making your own treasures can be a lot cheaper than buying the store bought version. You end up with a one off unique treasure that YOU made yourself! Here are some ideas to get you started. (I found these on the internet - the internet is full of ideas and inspiration.) Next time you see something pretty in a shop why not go home have a look on the internet and see if you can find ideas about how to make it yourself. If you really don't want to make it yourself why not see if you can buy something similar that has been hand-made by some else? 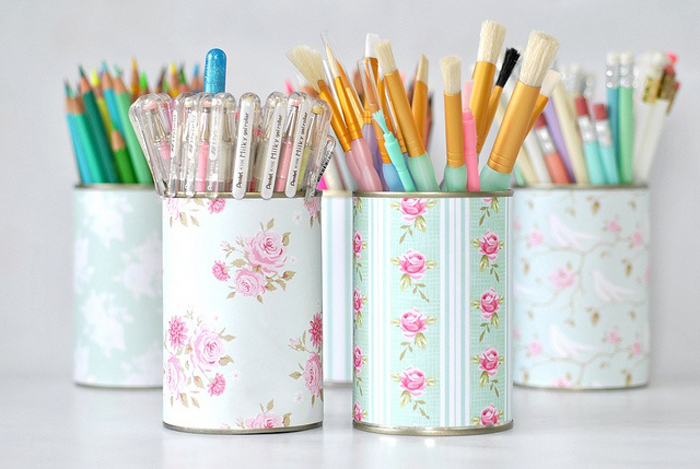 These pretty little stationary holders are old tins wrapped in pretty cardboard attached with double sided tape. See the DIY tutorial *here*. You could use left over contact, gift wrapping paper, material or paint to decorate some tins to your tastes. For a rock star look you could paint them black and stick skulls or stars on them. Get creative! Make your own beautiful pots from old plastic bottles, tins, bowls, or gumboots just to name a few. Choose colours and textures that you like. Don't be afraid to experiment! Get inspired and put your own creative spin on the things you make! If you don't want or need a rug you might like to make one of these up and sew it up as a throw pillow. Pinterest can be a fun place to find and collect ideas. Here are two boards I collaborate on. If you have a great upcycling tutorial or a project you've been working on that you'd like to share I'd love to hear from you.